Ever wish your sedan could handle rougher terrain? Jealous of SUVs and trucks having all the fun? Then check out the latest sedans from Acura—the 2017 Acura TLX and the 2017 Acura RLX. Both offer AWD functionality along with the thrilling performance Acura’s models are well known for, making them ideal for commuters with a sense of adventure. And the enhanced stability puts you way ahead of the pack when it comes to handling what the road can throw out at you. All of this comes on top of the luxury feel the new TLX and RLX are designed to exude, giving you a feel quite unlike other sedans. Why Buy an AWD Sedan? We all know how frustrating it can be to drive in those snowy New York winters—sometimes, not even rock salt and snow chains is enough to get a FWD sedan moving in that kind of inclement weather. With an AWD sedan, you’re much better equipped to handle the ice and snow, making winter travel safer and more tenable so you can get to where you need to go. And in the summer months, AWD is ideal for taking extended joyrides, making it easier to handle rougher roads and twisting turns thanks to its enhanced stability. Put simply, AWD lets your sedan go where other sedans fear to tread. 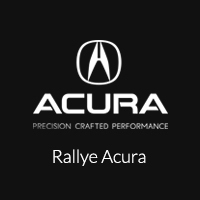 So visit Rallye Acura at 1750 Northern Blvd. in Roslyn, NY to check out an AWD-equipped 2017 Acura TLX or 2017 Acura RLX today, and see what a difference it can make.